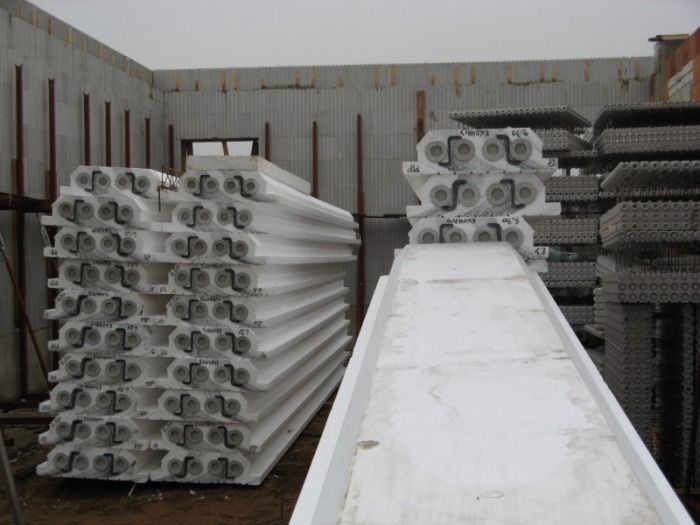 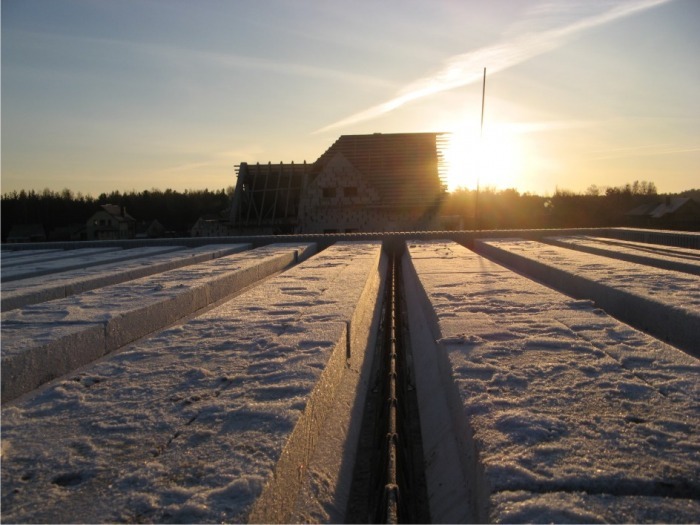 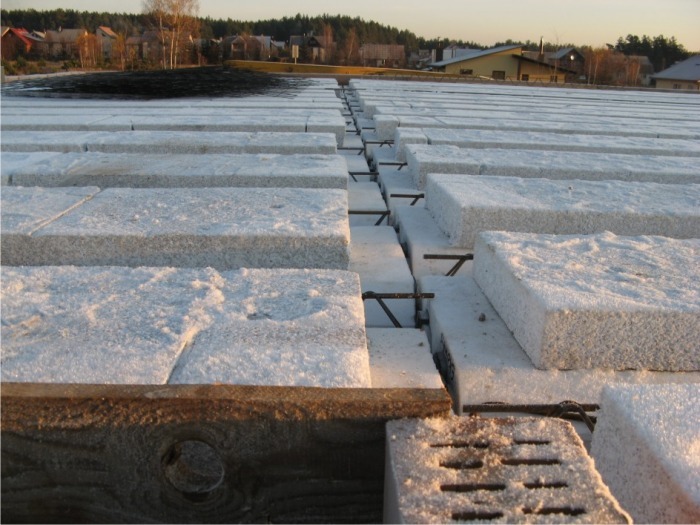 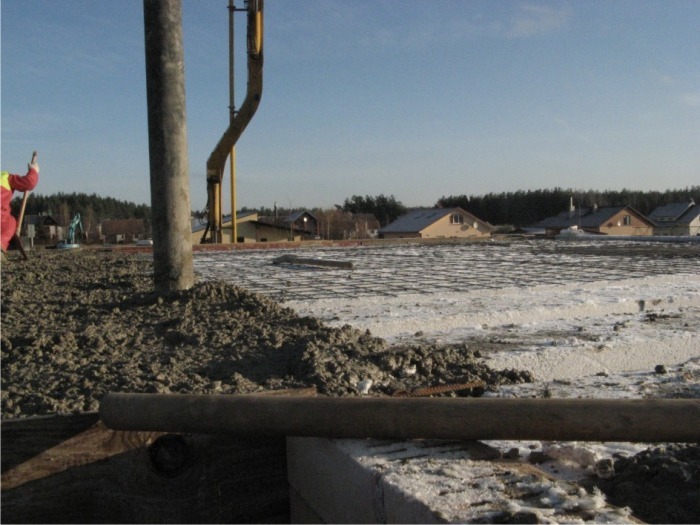 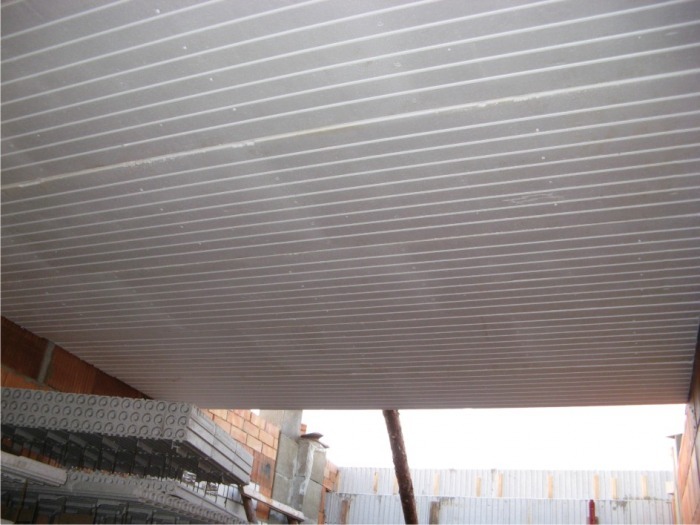 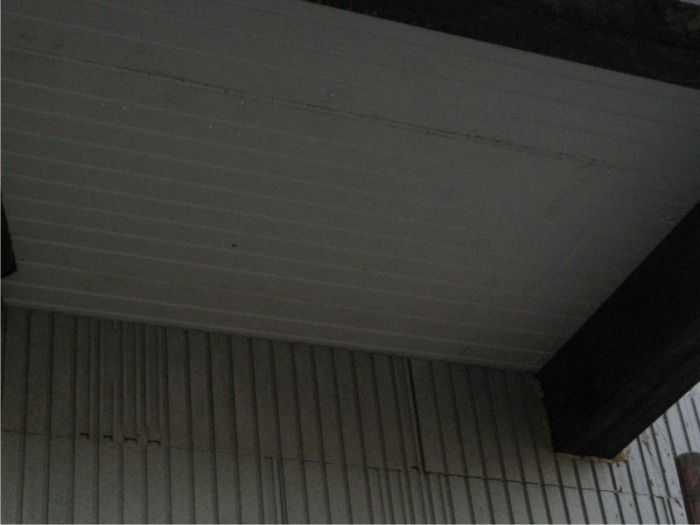 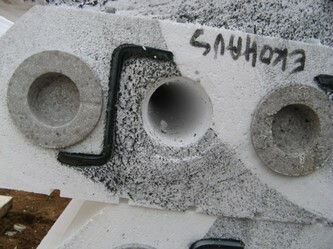 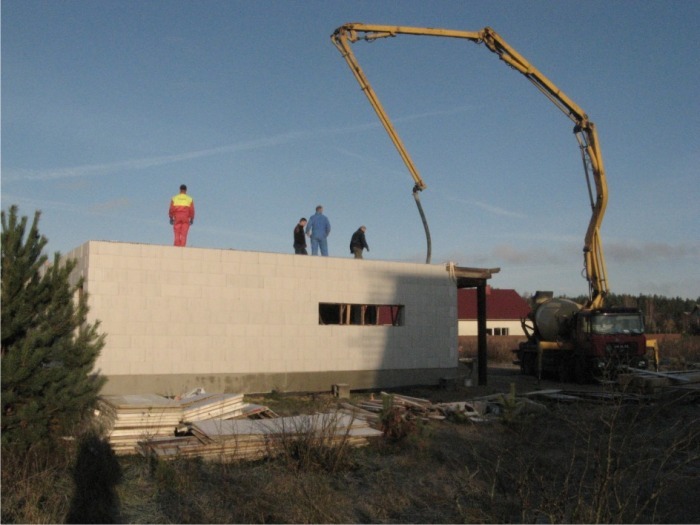 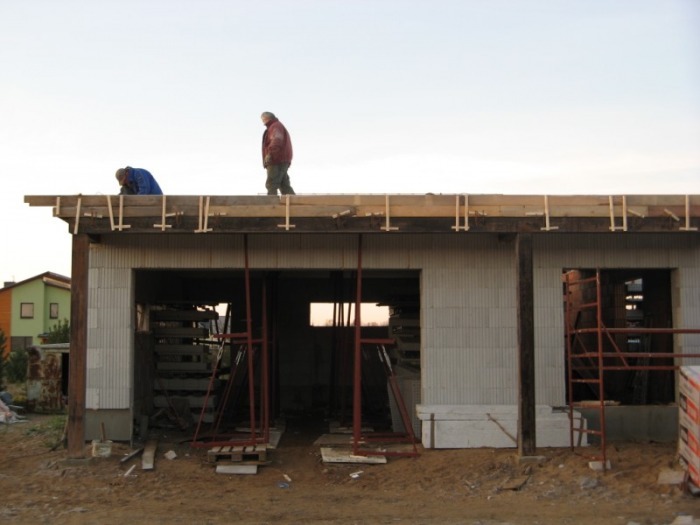 EUROMAC 2 slabs / floor elements are steel reinforced EPS formwork designed to cast reinforced concrete floors where the EPS remains in situ after, acting as insulation. 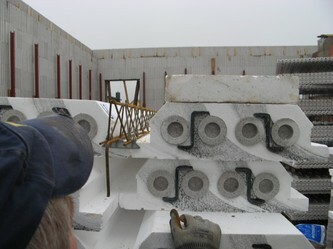 The slabs/ floor elements consist of two Z-shape steel reinforcements (the same reinforcements has the roof) running through the dense EPS. 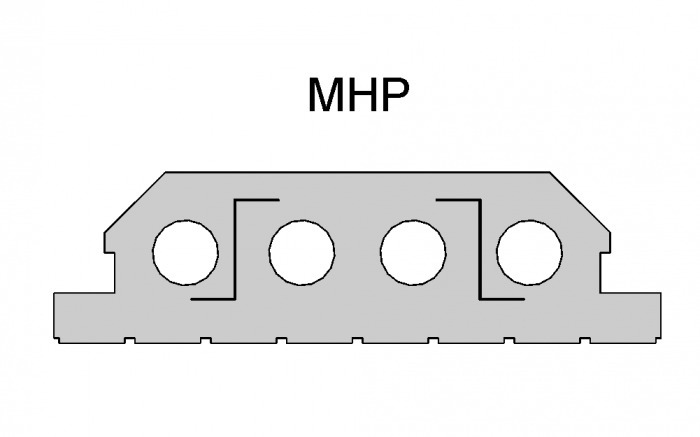 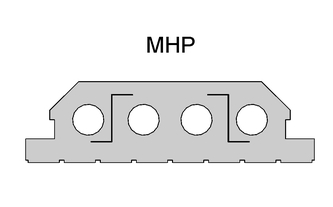 These two Z-shape reinforcements give the elements greater strength and provide fixing points for ceiling battens. 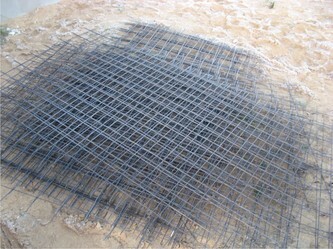 The slab / floor elements can be produced in any length according the project drawings and are manufactured to order minimising waste and excess materials on site. 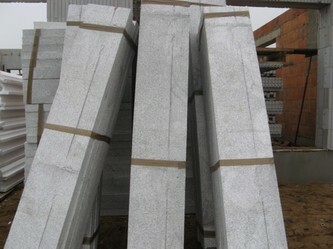 They are easily cut with a saw if required. The floor elements are orientated so that the spanning length is the shortest allowing for a thinner and more cost effective floor composition. 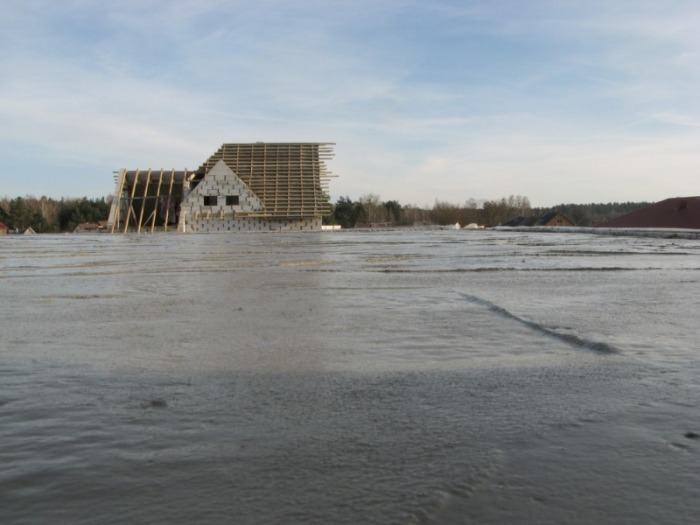 The total floor thickness can vary from 260mm to 360mm depending on the clear floor span and the required load bearing capacity. 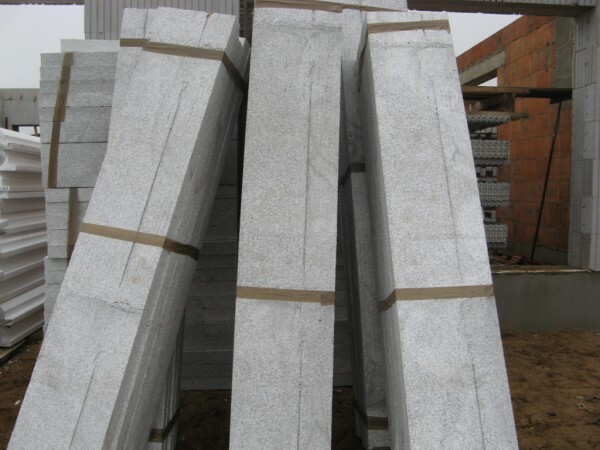 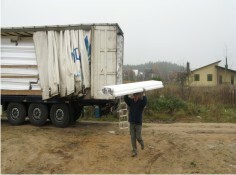 The floor elements are delivered to site cut to length and are lifted into position manually, without any lifting mechanisms. 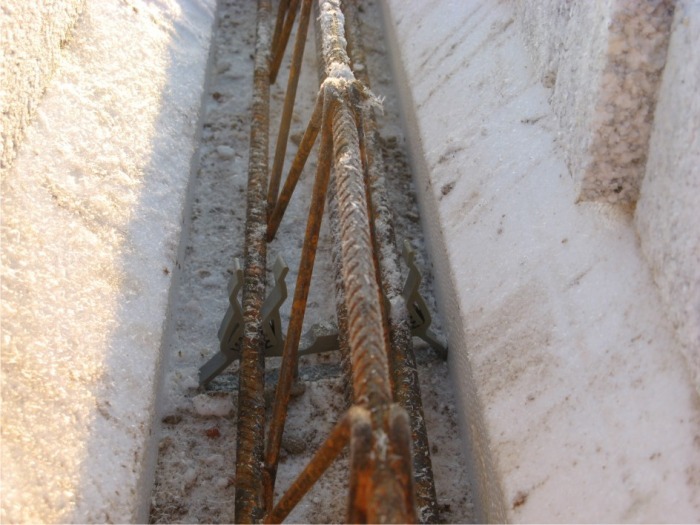 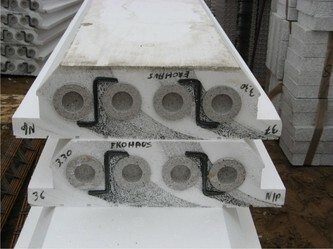 Plastic nails are used to secure them to the inner leaf of the EUROMAC 2 walls and the joints between elements are taped. 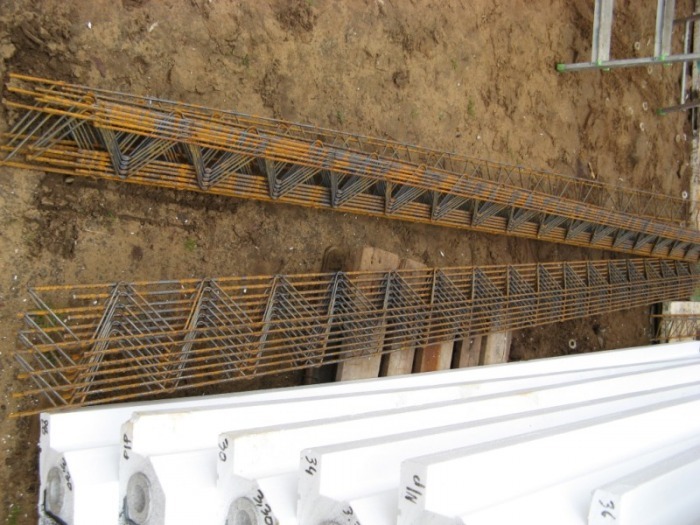 Steel reinforcement is inserted into the beam channels and held in position with chairs to ensure concrete cover all round, reinforcing mesh is laid over the panels on chairs to ensure good concrete cover. The elements are propped underneath with engineered beams and Acrow props. 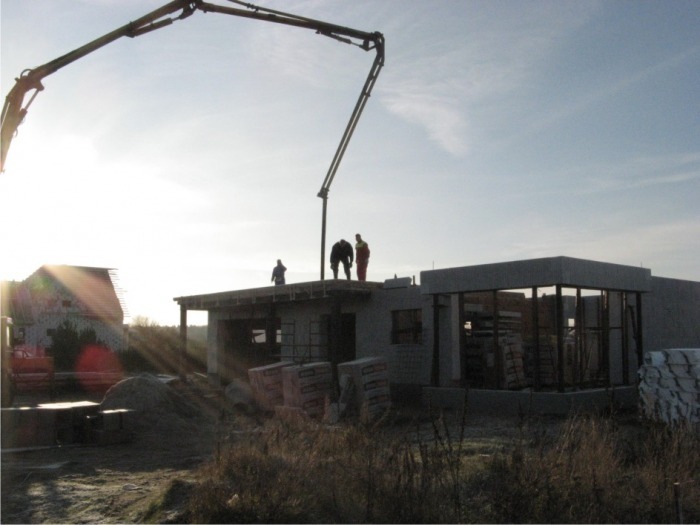 L100/30 edge pieces are fitted to the perimeter of the floor to maintain the thermal envelope of the building and contain the concrete. 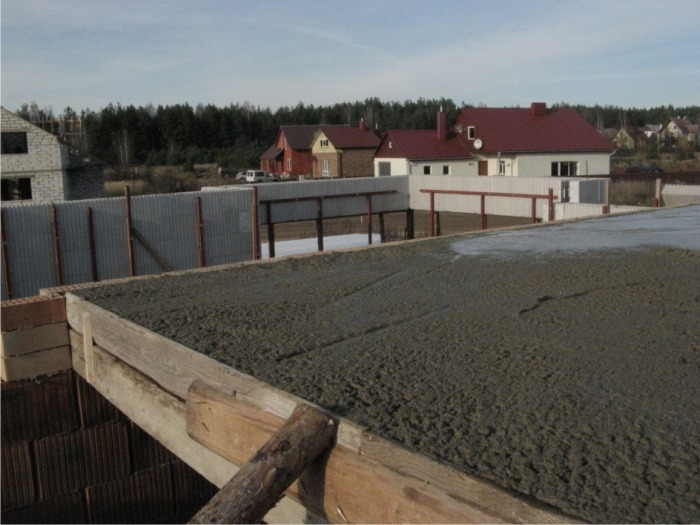 The Concrete is pumped onto the floor. 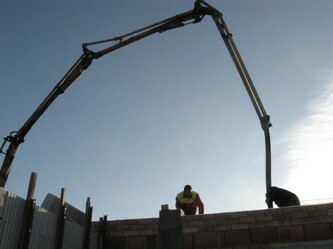 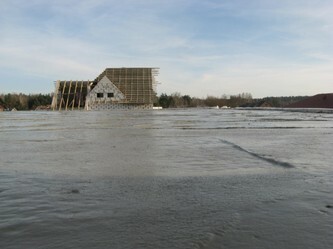 The concrete must be allowed to cure for a minimum of four days before construction of the next level may commence, the props supporting the floor must remain in situ for a minimum of 28 days. 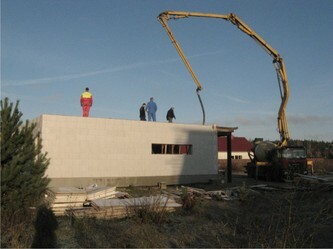 The floor heating can be installed directly to the EUROMAC 2 elements prior to the concrete pour. 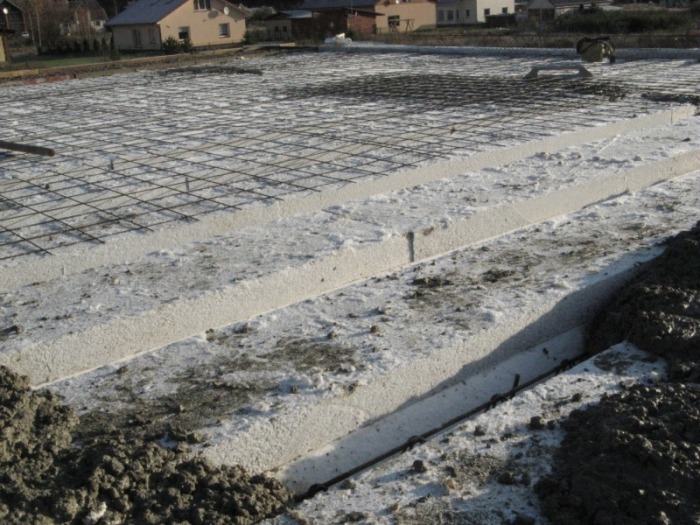 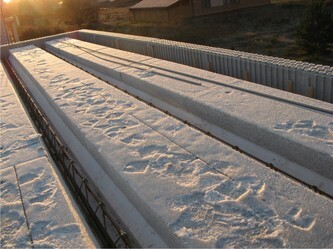 This offers a considerable saving reducing labour costs and negating additional insulation and screed. The floor thickness is also kept down allowing for additional ceiling heights.